A partnership with DermaSweep is more than simply adding a device and new treatment options to your practice. Going beyond increased results and revenue opportunities, visibility it critical. With driv marketing we offer tools to jump start your practice visibility and boost your bottom line. 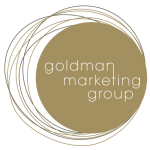 We are proud to have Goldman Marketing Group as our partner in Driv Marketing. Goldman Marketing Group focuses on practice development and are experts in attracting new patients, retaining existing patients, and cross-marketing to your existing patients. Boost your online presence and practice visibility with weekly social media content and press releases. Drive patients to your website and with pay per click programs and see the benefits through ROI tracking. Incorporate DermaSweep advertisements into your local market customized ad templates. Download and customize DermaSweep branded materials to increase in-office visibility. Add before and after images to your website and in-office devices. Provide targeted educational material for your entire staff, not just those performing treatments.